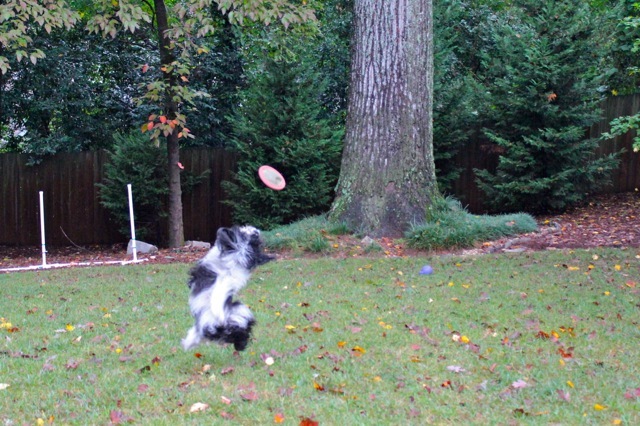 Cosmo's up to his old tricks, chasing a flying disc in the backyard! He's feeling great and all his blood work came back normal this week. Great news! He still has four more chemo treatments to go... next one is October 16. 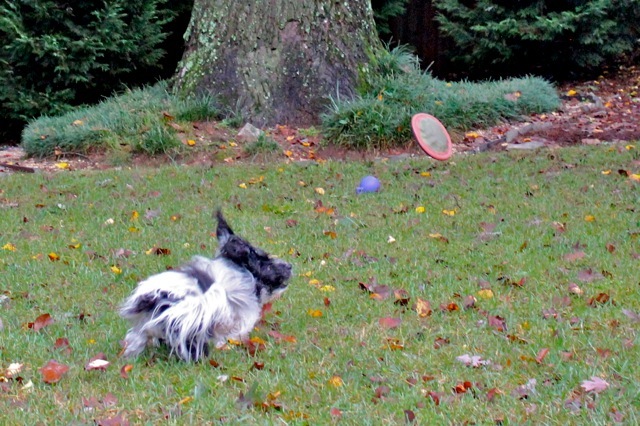 In the meantime, he'll continue to zoom and fly! Wheeee! Great news - no wonder he is FLYING! Oh wow! He's looking really good! Yay Cosmo! Loved seeing him in action. My Jasper has a leap he does just like that. Fun to watch isn't it? Glad he's feeling so good! He looks great! Look at that Cosmo go! Very glad to hear that his bloodwork is good too! We are sending healing purrs to Cosmo and our very best pawsitive thoughts and crossed paws that the treatments work. So glad his blood work is good he looks as if he is having a great time. YAY!! Way to go Cosmo! You keep outrunning the big bad C!! You can do it! We're so glad the test came back clear and he's feeling so zoomy! He really does zoom! So glad he's feeling better! Happy Wordless Wednesday. Sorry I'm a little late. Great news! Hopefully Cosmo's recovery would speed up. If the vet would allow, try getting him a dog grooming long island service to ease down the tensions on his chemo. That will make him happier. His hair looks nice and soft. It looks like you used natural pet shampoo for your dog.